PRINCE Harry said he and Megan Merkel, were looking forward to meeting as many Fijians in the next few days. He surprised the crowd when he stood up and said âBulaâ towards the end of the traditional ceremony at Albert Park in Suva yesterday. 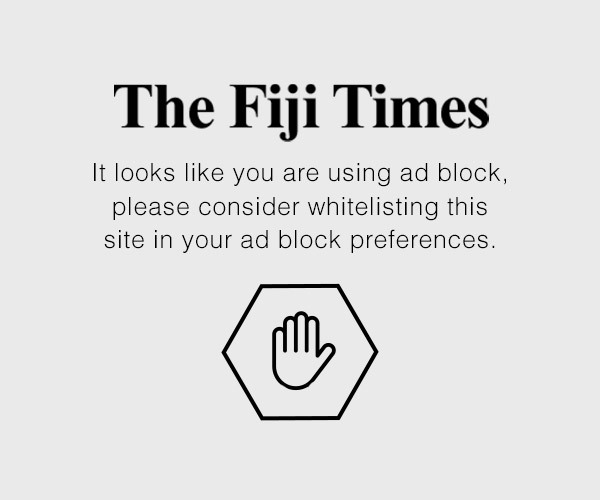 âThe Duchess and I are looking forward to meeting as many of you in the next few days in celebrating the length and close friendship between Fiji and the United Kingdom.Vinaka vakalevu,â he said. Thousands braved the cold and rain a t Albert Park to welcome and witness the Duke and Duchess of Sussex on home soil. Prince Harry and Meghan, who embarked on their three-day Fiji tour yesterday, were accorded a traditional welcome ceremony by the vanua o Vuda. The unfavourable weather did not deter the spirit of thousands of people who lined 14 miles of road from Nausori International Airport to Albert Park in Suva. Shouts and cheers could be heard from the public at Albert Park as the couple got off their vehicle. It was a sea of blue and most Fijians held on to their noble banner blue flags on one hand and the Union Jack on the other. The couple also watched a traditional dance performed by the men of Rara o Nakelo in Tailevu. The couple exchanged comments during the meke and smiled during the performance. 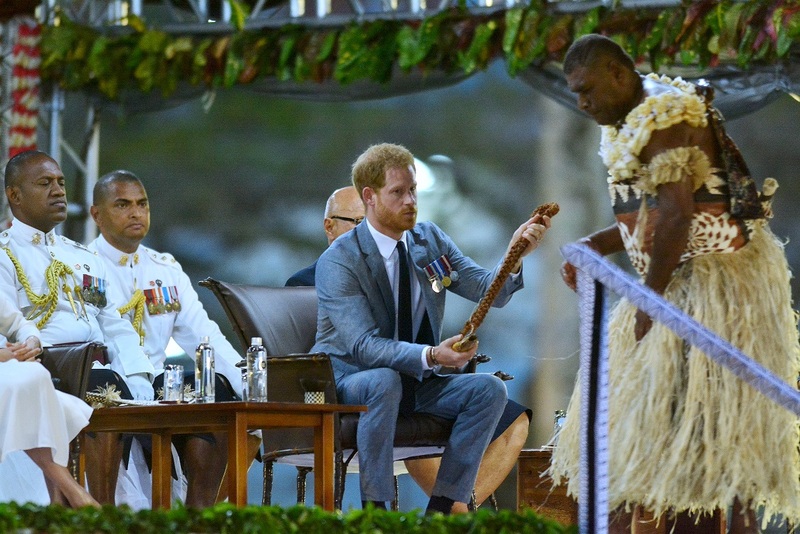 The crowd was amused when the bowl of kava was presented to Prince Harry and he looked to be a bit confused at what to do. The Prince also looked a bit shoc ked when informed that he had to drink the kava, but he did to the loud cheers of the crowd. After the formalities, the couple headed to the Grand Pacifi c Hotel, their home for the next few days for a brief balcony appearance for the public. Among those in attendance were the President, Prime Minister, school students and diplomats.